Kaiju train keeps on rolling ! Phew ! Next stop I’ll be heading to, is Tokyo, Japan and the Design Festa Gallery in Harajuku for the Max Toy 5th Anniversary Art Show – April 2-3, 2011. 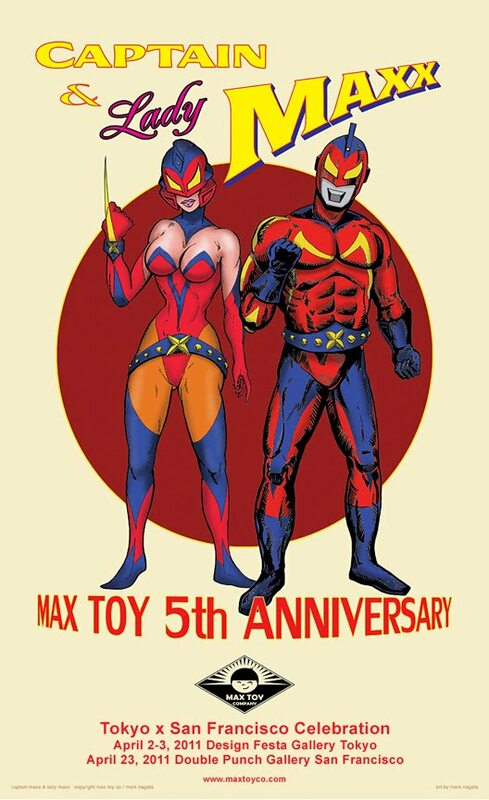 I asked each participant to use either Captain Maxx or Lady Maxx in their artwork for this show. They could, however, also use any other Max Toy character they wanted as well. When I set up these shows or even collabs I like to let each artist just do what she or he would like … in this case with some direction .. but really that was it. Oh and unlike other shows, we decided not to ask folks to customize a toy (haha). 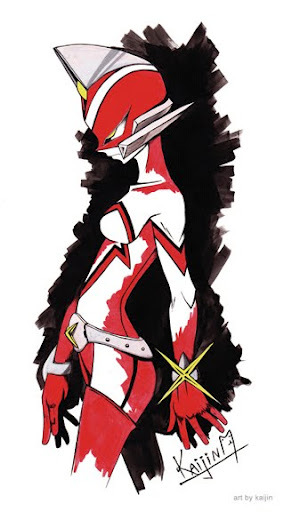 Truth be told, my first love is flat artwork (gasp ! )… so I waited to see what everyone would come up with ! Oh boy, I have to say each and everyone did awesome work !!! Over the next few weeks leading up to the show, I’ll be posting the work. To this point every piece is for sale but one. Some are digital, some are traditional. 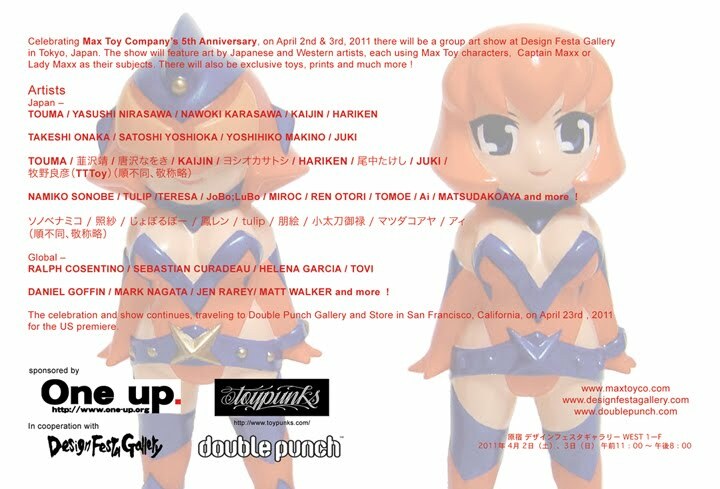 The show runs for 2 days in Tokyo, then we pack it up and it travels to San Francisco’s Double Punch Gallery ! Where on April 23, 2011 the show opens for US fans ! Join us at Double Punch for the opening, food and exclusive toys on sale only for US fans! Oh! and I just mentioned exclusive toys ???!!! Haha, of course .. hmmm can’t say too much, but I can say Lady Maxx will debut in all her glory, fully painted !!! Ok so here’s todays participants … and I’ll be posting these in no particular order. Oh Boy !… will post more soon !!! 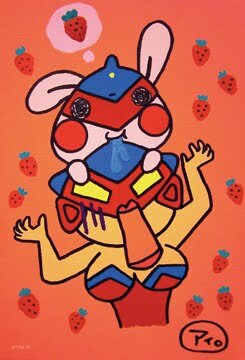 This entry was posted in art show, art toys, Japanese toys, Lady Maxx, mark nagata, Max Toy, Max Toy Company, soft vinyl. Bookmark the permalink.